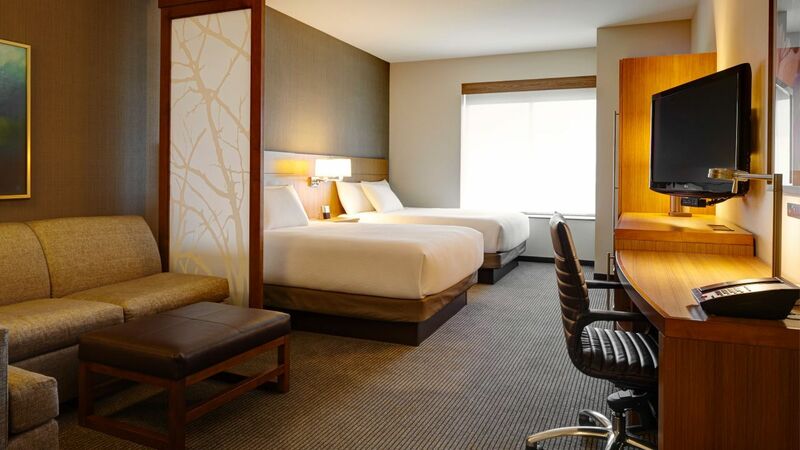 Designed for the modern traveler, we offer an array of useful amenities and services made for a worry-free and comfortable stay. 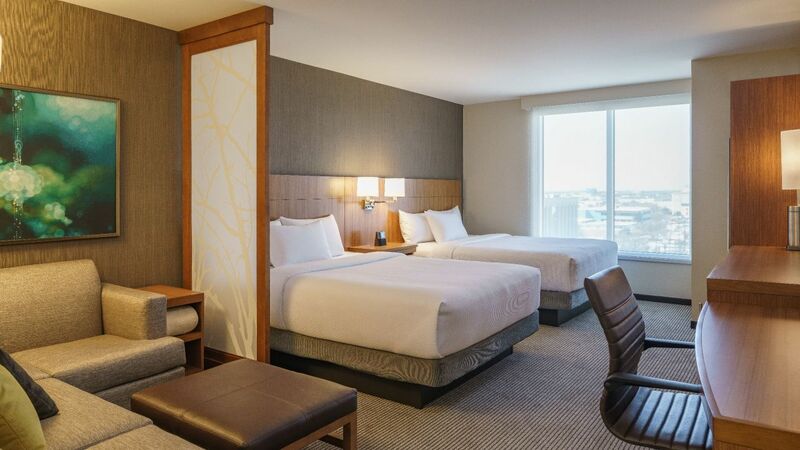 Each of our all-new guest rooms includes home-like amenities such as free WiFi, a mini-fridge, coffeemaker, and our signature Hyatt Grand Bed®. 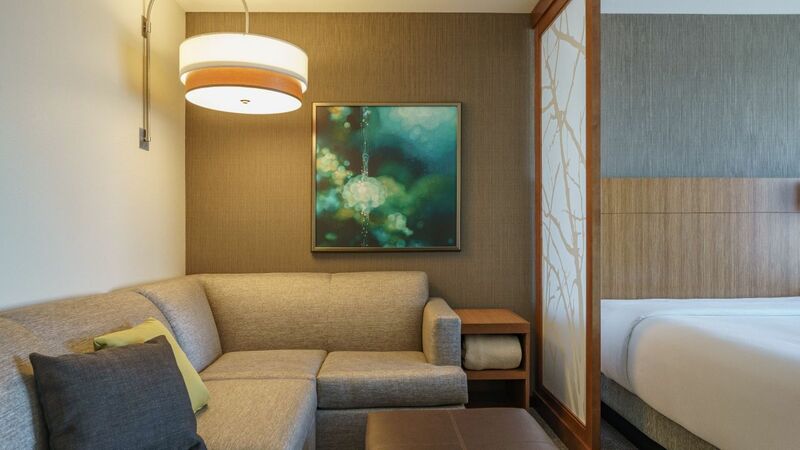 Rooms should always feel, well, roomy and we made no exceptions with our suites. 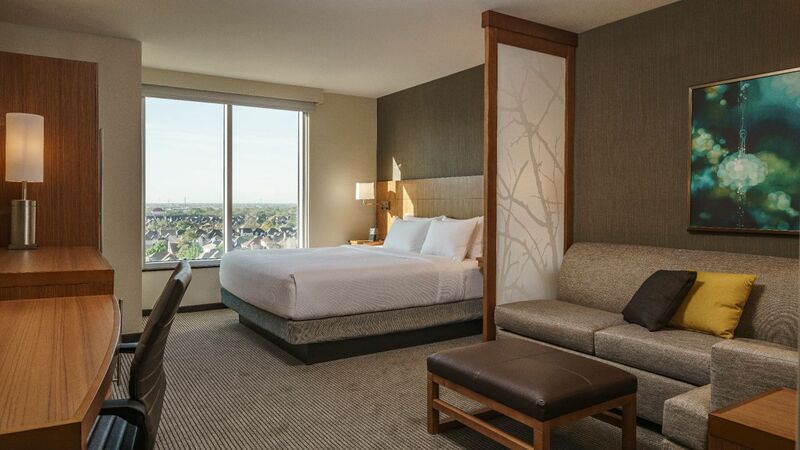 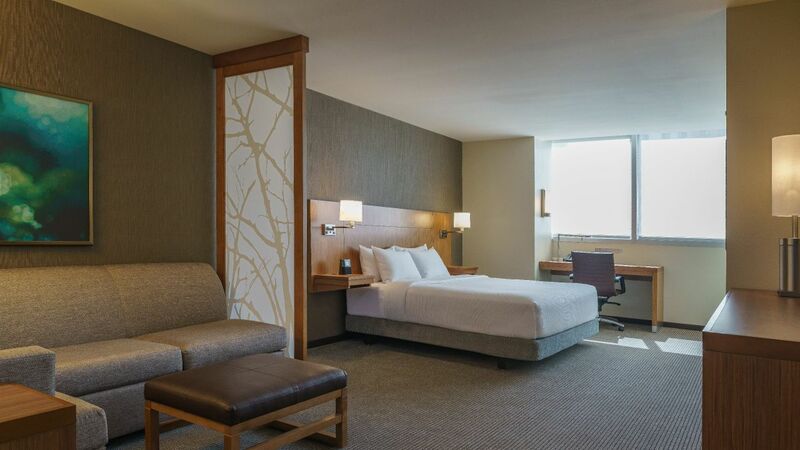 Enjoy one king Hyatt Grand Bed® and our Cozy Corner with sofa sleeper, perfect to sit back and unwind.